You will meet new people, learn about the basics of perfumery and create your own bespoke perfume. Get ready to discover your scent profile, to smell some odd odours and to experience fascinating ingredients which are normally behind closed doors. 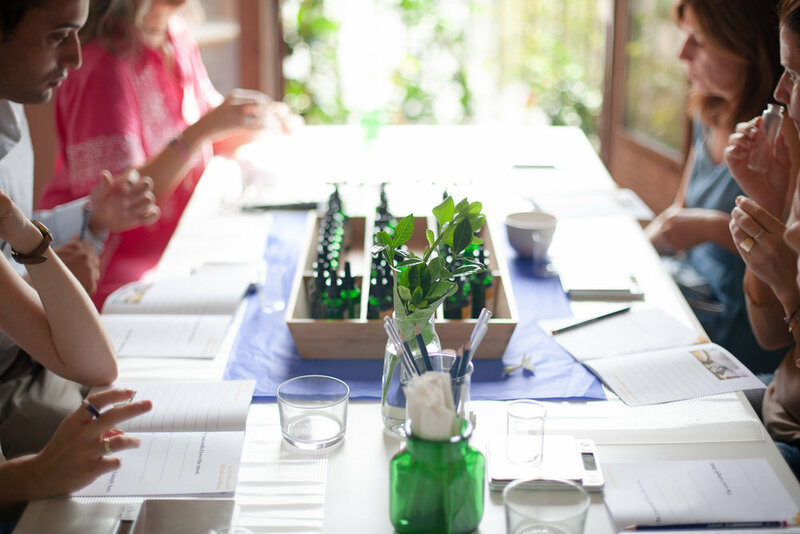 All our workshops follow a smooth structure in a relaxed environment with one goal: to lead you to craft a fragrance that is truly unique to you. Sweet refreshments are served during the sessions. And coffee beans to keep your nose fit.